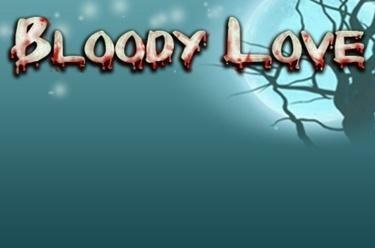 Play Bloody Love online for free now! A small bite for an immortal streak - get ready for your nightly prowl with our charming vampire! The creatures of the night will lead you on the right track and will prepare for you - with a bit of bloodshed - a real feast of Twists on 5 reels and 10 win lines! Your aim is to land 5 matching symbols or a vampire girl combination along a win line. Every winning combination begins on the left and runs along the win line to the right. To win, the symbols must land next to each other on an active win line without any other symbols between them. 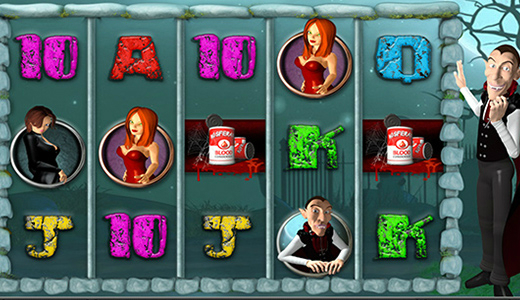 3 Scatter symbols (Blood Bag) at any point trigger 15 Free Spins. The normal bet used when you triggered the feature is carried over into the Free Spins.